…but he cannot breathe on his own. Only his life support tube keeps him functioning. His heart is beating, but he can do nothing but lie there, draining the resources of his caregiver. His heart is beating, his brain is active and he responds to stimulus, but he must have the life support or else his heart and brain will cease to function. He’s only been this way for eight weeks, and the doctor says in six or seven months he should be able to function on his own… but he will still need significant support for a while. Is his caregiver willing to wait it out, to absorb the burden, or will they pull the plug? Would you be willing to wait it out, or would you pull the plug? He’s only been this way for eight weeks… in his mother’s womb. By this point in the pregnancy, everything that is present in an adult human is present in the developing embryo. The embryo has reached the end of the embryonic stage and now enters the fetal stage. 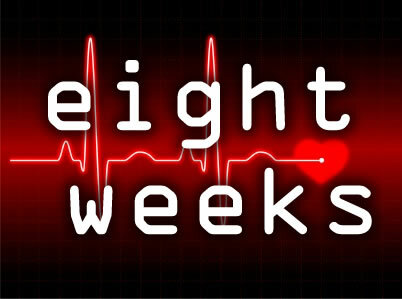 A strong fetal heartbeat should be detectable by ultrasound, with a heartbeat of 140-170 bpm by the 9th week.